To meet the demands of ever more discerning customers, manufacturers are constantly striving to improve product quality. One way to achieve this is through 100 per cent inspection of components, rather than taking samples from a production line for quality control. There is a problem if components are complex or already partly assembled, however, as they can take too long to inspect by probing or laser scanning. In the case of additively manufactured components or plastic mouldings containing electronics, it may even be impossible to check them at all by conventional means. Enter industrial computed tomography (CT). It is a valuable tool in the quality manager’s armoury, as X-rays allow the interior as well as the exterior of parts to be inspected non-destructively for material integrity (voids, porosity, inclusions etc) as well as dimensionally. Such equipment has traditionally been found mainly in research and prototyping departments, as it was too slow to be used on a production line – until now. Recent advances by Nikon Metrology in developing high-flux rotating targets for X-ray sources, coupled with improved scanning concepts, algorithms and analysis techniques, allow samples to be inspected in 3D, reconstructed and evaluated in a matter of minutes to micron accuracy. Couple this with advanced computer control technology and a mature automated handling industry employing reliable robotic systems and one has access to viable in-line (or close to production line), 100 per cent inspection possibilities. They are compatible not only with short manufacturing takt times but also with the big data acquisition and connectivity requirements of Industry 4.0. Nikon Metrology configures and supplies batch, semi-automatic and fully-automated CT scanning systems with handling peripherals to suit any application. Their capability can range from simple pass/fail inspection to comprehensive real-time quality analysis with feedback to the production process to keep parameters within tolerance. The technology is analogous to CT scanning of a person’s head or body in the medical sector, which has been carried out for decades. Multiple X-rays of an industrial component are taken from various angles, although in this case it is the part that rotates, and the resulting grey scale images are converted into a three-dimensional voxel (3D pixel) grid. It is used to generate a CAD-to-part comparison map so that workpiece geometry can be checked for anomalies. Actual part dimensions can also be recorded, inside and out, to extremely high accuracy. The process not only avoids destroying a sample test part, which in any case may not be representative as it could be different from others in a batch, but also enables in-process inspection synchronised with a production cycle for total quality control. In the case of castings, further opportunities for savings in scrap rate derive from being able to see the size and position of any internal imperfection and determine whether subsequent machining steps will remove that portion of the component’s volume. Weld inspection is another area where industrial CT is particularly useful, as checking visually for porosity and mechanical integrity is difficult without employing destructive methods. It is true that radiography techniques are available, but they are unable to cope with complex part geometries and do not give anywhere near the level of accuracy that CT offers. Nikon Metrology’s CT systems are designed with automation in mind. Its Inspect-X software allows users to save scan profiles and recall them later to review process data such as X-ray conditions, manipulator position and imaging settings along with reconstruction and volume analysis parameters. It ensures consistency and repeatability by eliminating the need for manual intervention, freeing the operator for other tasks such as preparation of samples. No programming skills are needed, as the software automatically loads appropriate analysis and reporting programs. 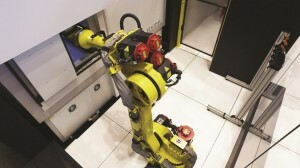 In some production environments, semi-automated CT inspection can be a solution and several such systems have been installed across Europe by Nikon Metrology, most recently in France. 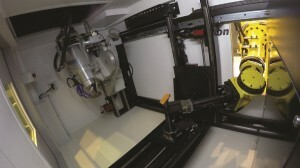 Guided by a simple, customised user interface, the operator loads parts individually, or a rack of multiple parts, to a position within the scanning station from where an automated system takes over to position them precisely for processing. Communication with production databases allows automatic recognition of the part that is about to be inspected so parameters can be adjusted accordingly. Inspection results are written back to the manufacturing database for statistical process control, further analysis and storage to preserve data history. In a batch production environment, instead of the operator only being involved in part handling with everything else happening automatically, a CT procedure involving additional manual duties may be more appropriate. Part identification, program selection, post-scanning interpretation of results and uploading of reports would then all typically be carried out by the operator. 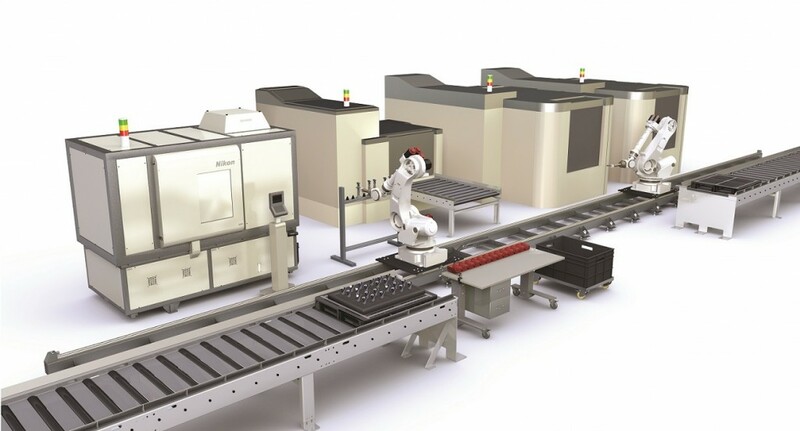 Moving in the other direction, a fully automated, in-line solution suits flow-line production environments where critical parts with complex internal geometries or material structures have to be inspected. A CT facility for 100 per cent, automatic inspection with feedback to control production has recently been supplied by Nikon Metrology to a manufacturing company in the UK. The complete inspection process is automatic, without any user input. Part identification codes are scanned and handled though the database and robots load parts from conveyors and position them in the CT system via an automated door, retrieving them after scanning. The program is loaded directly and parts are automatically scanned, reconstructed, analysed and sentenced according to the database recipe. The entire procedure can be completed in under a minute and multiple parts can be scanned simultaneously, if necessary, to keep within a short takt time. Robot positions sample on rotate table in CT system. This approach not only provides rapid detection and feedback of process variation but also eliminates the risk of the operator negatively influencing the metrology function. A database with uploaded information on every manufactured part provides full traceability, crucial for aerospace and other safety-critical components. Efficiency is increased by being able to maintain a continuous flow of production and to optimise it in real-time, ideal for high-volume production environments such as in the automotive sector. Certain components would be extremely difficult to inspect quickly without CT, such as fuel injector nozzles, which have tolerances below 10 microns and are susceptible to blockages. With its high power, 450kV micro-focus source, Nikon Metrology’s XT H 450 scanner is the ideal tool for inspecting parts of high density such as impellers, turbine blades and medical prostheses made from exotic alloys. The manufacturer has developed a proprietary curved linear diode array (CLDA) that optimises the detection of X-rays travelling through the part, without capturing undesired scattered X-rays, resulting in sharp, high contrast images with sufficient detail for comprehensive measurements and analysis. The rotating target is liquid-cooled, allowing higher flux to be used consistent with shortening inspection times for production line use. 450 watts of continuous power is delivered without any restriction on measurement time, whilst a small micro-focus spot size of 80 to 113 microns delivers a scatter-free CT volume down to 25-micron repeatability and accuracy. A flat panel detector is also built in for high speed or lower density applications such as 3D NDT defect detection in cast aluminium parts. Automating 3D inspection using high power, real-time CT scanning brings huge benefits for the right applications. The investment can be amortised rapidly through reducing the need to employ skilled labour and increasing both productivity and yield. Quality is improved as a result of closed-loop manufacturing and better product insight, while feedback and storage of centralised data sits neatly with the requirements of Industry 4.0 and the smart factory of the future. If you are a manufacturer of components or assemblies incorporating plastics, metals, ceramics, electronic components or any combination of these, Nikon Metrology has in-house Inspection centers to perform X-ray and CT contract inspection services for new or existing clients. To enquire about this service, click here. For more articles on X-ray and CT, click here.